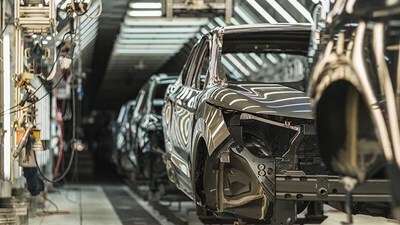 LONDON, March 27, 2019 /PRNewswire/ -- The European car industry is currently experiencing challenges from around the world that may lower European automotive production, a key element of steel demand in the region. In addition to Section 232 tariffs on cars imported into the US, Japanese car manufacturers may shift production back to Japan, resulting in lower sheet demand in Europe. In this Insight, we explore how these risks could affect European steel sheet demand. The European car industry is facing challenges on multiple fronts. In the UK, Honda announced the closure of their production in Swindon. Whilst this could easily be seen as a 'Brexit' effect, there are concerns this may be the start of a broader shift for Japanese car manufacturers re-shoring production back home. In addition, the US administration is expected to declare car imports a national security threat allowing them to impose tariffs under Section 232 (S232), similar to the measures already introduced for steel and aluminium. Meanwhile, sales of European premium segment cars have been affected by a slowdown of demand in China. All of this is set against a backdrop of trade tensions between US and China, fears about a coming recession and a global economic slow-down which are all weighing on the car industry. In this CRU Insight, we outline the impact of decreasing European car production on European sheet demand, driven by the risks highlighted above. The US is the most important export market for European produced cars, accounting for 1.2 million units—31% of non-EU sales. However, the potential introduction of S232 tariffs on cars imported into the US from around the world is likely to lead to demand destruction in the US, and, in turn, lead to lower demand for cars produced in the EU. I n this scenario, CRU estimates that Western European steel sheet demand may reduce by 250-350 kt/yr. In addition, it is not only finished vehicle sales that are expected to be affected by possible trade measures. Car parts account for 34% of sheet demand and are also expected to be impacted by the Section 232 tariffs. To support the case for Section 232 tariffs on car imports, the US administration conducted an investigation to determine if the high import numbers of non-US produced cars pose a risk to national security. Car imports into the US were worth nearly $300bn in 2017, accounting for 70% of all cars sold (excluding pick-up trucks). If evidence is found, Section 232 tariffs (or potentially quotas) may be introduced, similar to those in place now for aluminium and steel. That said, US tariffs on imported vehicles are not new as there is already a duty of 25% in place for the important pick-up truck segment.